The Work of Ministry | ". . . let God be found true, though every man be found a liar." Someone once said that the work of preachers is to comfort the afflicted and to afflict the comfortable. While this is almost certainly an over-simplification of the work of ministry, it does capture, at least in part, the spirit of this work. We absolutely see this principle in the work of the Old Testament prophets. The messages they brought to the people of God sometimes comforted and encouraged them. On other occasions they scolded and chastised to try to bring the people back into faithful service to God. The work of the apostles and other preachers, as it is recorded in the book of Acts, suggests that this work did not change in the transition from the old covenant to the new covenant. It was then, and still is, hard work that takes a toll on the one who undertakes it. Even so, there have always been, and Lord willing there always will be, men who are willing to take on this challenging work. One of the greatest challenges preachers and churches face is properly defining what that work should be. 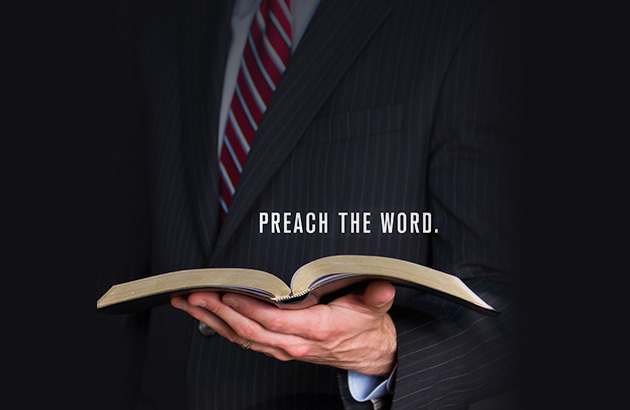 When left to our own devices, we may expect far too much or far too little from preachers. Fortunately the scriptures give us the direction we need in this regard, if we are willing to let them set the bounds of this good work. Paul’s letters to Timothy and Titus have long been used to set the parameters of the work of ministry and their contents should guide us still today. However, we find an excellent summary of the work of ministry in Paul’s farewell to the elders of the church in Ephesus. In Acts 20:17-35 Luke recorded this final meeting between the great apostle and these shepherds. He had worked with them longer than with any other church of which we have record. At the time of this meeting Paul was hurrying to Jerusalem where he would undergo great hardship. He knew he would never see these men again, so he spoke with them one last time. His words to them show us what the work of ministry should be. First, Paul reminded them that he had persevered through all kinds of trials as he worked with them (Acts 20:18-19). Too many men are unwilling to work through the rough spots with a congregation. Paul shows us that the work of ministry is to persevere through all such things. Second, he reminded them that he had taught them everything they needed to know from God’s word (Acts 20:20-21, 27). Too many men lose sight of the big picture and focus instead on their pet themes, or on what the congregation wants. Paul shows us that the work of ministry is to proclaim the whole purpose of God (Acts 20:27). Third, he warned them to be prepared to meet every spiritual challenge that would arise in the future (Acts 20:28-31). Too many men are so focused on being a spiritual fireman that they fail to teach the church how to meet these challenges themselves. Paul shows us that the work of ministry is to equip the saints for every good work and to discern right from wrong. Finally, when all was said and done, Paul commended the elders of Ephesus to God and to the word of His grace (Acts 20:32). Paul knew he would never see these men again on this side of life. They could fulfill their responsibility as shepherds only if they depended on God’s word. Too many preachers assume that they are indispensable. Paul shows us that the work of ministry is to point God’s people to the implanted word which is able to save their souls (cf. Jas. 1:21). May all who preach commit themselves to the work of ministry, as the scriptures define it. If they do so, they will be the kind of ministers the Lord intends them to be. May all God’s people commit themselves to expect ministers to do the work of ministry as the scriptures define it, nothing more and nothing less. If they do so, our churches will be what the Lord intends them to be.